Malcolm X died 53 years ago today, just as he was moving toward revolutionary ideas that challenged oppression in all its forms. Racial segregation was not the law in the postwar North, but it was the reality. In virtually all aspects of life, Northern blacks encountered racism and segregation. Blacks who left the South found themselves forced to live in huge urban ghettos and educate their children in inferior schools. Skilled or professional jobs were reserved for whites. Blacks were constantly subject to white authority, especially police harassment. Almost a quarter of blacks said they had been mistreated by the police, and 40 percent said they had seen others abused. Any illusions held by Southern blacks about the liberal North were not held by those already living there. And while Northern blacks were inspired by the struggles in the South, their conditions made them receptive to a movement independent of — and quite different from — the one led by Martin Luther King Jr’s Southern Christian Leadership Council. In the first years of the civil rights struggle, the most significant organizational expression of this new movement was the Nation of Islam. By the late 1950s, the group’s membership reached an estimated one hundred thousand, with Malcolm X as its most prominent member. In formal terms, the ideas of the Nation of Islam were profoundly conservative. The organization combined elements of orthodox Islam with ideas of its own making, preaching a doctrine of hard work, thrift, obedience, and humility. Seeing economic independence from white society as crucial, the organization also encouraged its members to “buy black.” The Nation of Islam established dozens of businesses, owned farmland, and built mosques in most major Northern cities. The organization did not condemn capitalism, only whites. Indeed, many Black Muslims looked to emulate the success of white capitalists. Nation of Islam leader Elijah Muhammad called for establishing an independent black state — in the United States or elsewhere. But beyond pressing for demands or defending their interests, the organization was hostile to political involvement. That such an inward-looking religious sect was capable of substantial growth is a testimony to the widespread bitterness of large numbers of urban blacks. To hundreds of young recruits, the Nation of Islam represented self-respect, self-reliance, and pride. Malcolm X was also sharply critical of the civil rights movement’s leaders. Far from leading the struggle, he saw them as containing it. Technically, Malcolm X was only amplifying the teachings of Elijah Muhammad, and indeed always prefaced any of his speeches with the phrase “Elijah Muhammad teaches . . .” But Malcolm X had turned these ideas into an indictment of the system, increasingly breaking out of the straitjacket of the Nation of Islam. Aware that the growing politicization of the movement was having an effect on the Nation of Islam, including its leading spokesperson, Elijah Muhammad had taken measures to reassert his control. A police attack in Los Angeles in 1962 drove home the bankruptcy of the Nation of Islam’s politics. In April 1962, a Black Muslim had been killed and several wounded by the Los Angeles police department. Malcolm X immediately flew out to Los Angeles to direct the organization’s response. The Nation of Islam preached self-defense, and the police murder seemingly called for retaliatory action. But Elijah Muhammad prevented his followers from organizing a sustained self-defense campaign. Verbal radicalism, often extreme in its denunciations of whites, was acceptable in an earlier period when members of the Nation of Islam were establishing their reputation as opponents of the system. But the explosion of anger among blacks demanded more than words; it demanded action, and that was one thing Elijah Muhammad would not countenance. Malcolm X’s break with the Nation of Islam finally came in December 1963. Responding to a question from the audience at a meeting in New York City, Malcolm attributed John F. Kennedy’s assassination to the hate and violence produced by a society that whites themselves had created. Although the statement was consistent with the hostility Black Muslim ministers had expressed to the US administration in the past, Elijah Muhammad nevertheless informed Malcolm that he would be suspended for ninety days so that “Muslims everywhere can be disassociated from the blunder.” It soon became clear that the suspension was in fact an expulsion. In the same speech, he described himself as an adherent of black nationalism. Soon after, Malcolm was to take the first of two trips to Africa. These trips had an important impact on his ideas. He met with several important African heads of state — including Kwame Nkrumah of Ghana and Gamal Abdul Nasser of Egypt — and was influenced by the ideas of “third worldism.” In general terms, this was the view that the world was dominated by two superpowers — the United States and the Soviet Union — and that the developing countries of the world represented an independent alternative. When Malcolm X returned to New York, he announced the formation of the Organization of Afro-American Unity (OAAU), modeled after the Organization of African Unity (OAU), which brought together the different African heads of state. The OAAU was a black nationalist organization that sought to build community organizations, schools, black enterprises, and voter registration campaigns to ensure community control of black politicians. 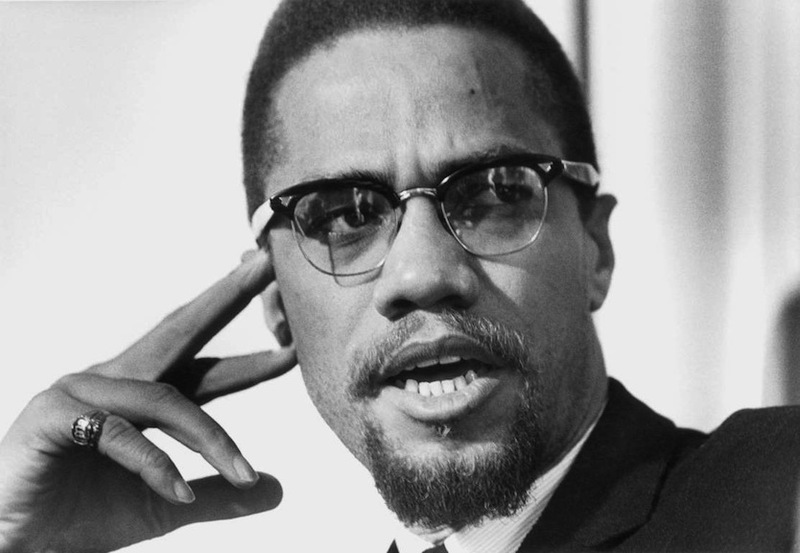 After his visit to Africa, Malcolm began to argue that the black struggle in the United States was part of an international struggle, one that he connected to the struggle against capitalism and imperialism. During this period Malcolm’s political ideas were evolving rapidly — a development cut short by his death. By that time, Malcolm X had already become one of the most important radical black figures in the United States, and his influence was growing, especially among younger activists. No, I’m not an American. I’m one of the twenty-two million black people who are the victims of Americanism. One of the twenty-two million black people who are the victims of democracy, nothing but disguised hypocrisy. So, I’m not standing here speaking to you as an American, or a patriot, or a flag-saluter, or a flag-waver—no, not I. I’m speaking as a victim of this American system. And I see America through the eyes of the victim. I don’t see any American dream; I see an American nightmare. It is impossible to predict how Malcolm’s politics would have developed had he lived. He had embraced ideas that put him squarely on the left of the black nationalist movement. His hostility to the system and the twin capitalist parties, his commitment to end racism, and his identification with anti-imperialism, represented an enormous contribution to radical politics. Ahmed Shawki is the author of Black Liberation and Socialism , from which the following is adapted.